Anthony Davis and Marquis Teague have been dancing in harmony with each other since their freshman year in University of Kentucky (UK) started a few days ago. With Davis and Teague on board UK's Armada, the Wildcats have been blowing down their opponents in the NCAA en route to having a 5 game winning streak early in the tournament. Their latest victim was the hapless Radford University Highlanders. UK once again won via a relatively large margin, 88-40. That's not too overwhelming considering that they've beaten majority of their last 4 opponents via large margins with the exception of Old Dominion. Their big wins are really a manifestation that they are ranked number 2 in the league. The story of the Cats game against Radford goes this way. UK started the game missing their first 6 shots in the first half but when Marquis Teague got his rhythm going, they never looked back to the Highlanders who on the other hand, missed their first 12 shots. Teague significantly became more aggressive this time around. His scoring was on in this game as well as his passing. 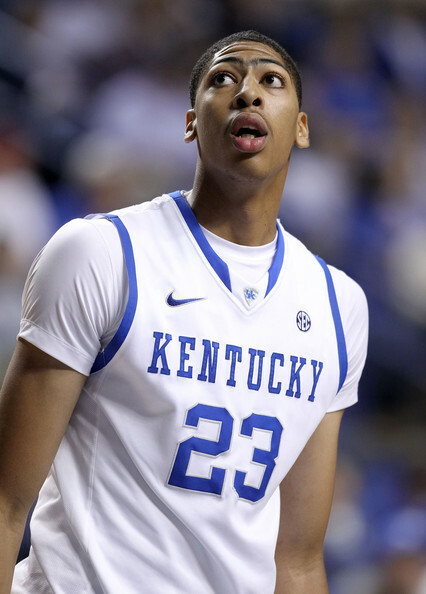 Well, the one thing that I noticed in his first few games with UK is that he has not yet shown his dunking skills. I want to see him dunk ferociously so that I can be able to compare his dunking skills to that of his older brother Jeff Teague who played for the Wake Forest University Demon Deacons. Of course we all know that he's now in the NBA playing for the Atlanta Hawks and there's no doubt in my mind that Marquis will also be able to reach the most prestigious basketball league in the world just like his older brother. Soon! Teague's lob passes and alley hoops to Mr. Jones and to his co-freshman Anthony Davis were just jaw dropping. You can see an instant connection with those three guys. Together they anchored a 14-0 run for UK at the 11:15 mark of the first half. They are really showing how dangerous they are once they get their steam rolling. Since that 14-0 score, the Cats never looked back to Radford. The first half ended with the score of 45-14 in favor of UK. That was the story of this blowout game. For me the best player of this game was Teague because of his great impact to his team. He finished the game with 13 points and 5 timely assists. He showed his overall game in this game. Jones had 17 points, 8 rebounds and 3 blocks while his dunking partner Anthony Davis finished with 12 points, 6 rebounds and 4 blocks. It's Radford man. C'mon. Those guys never get to play in the NCAA tournament because of their obscure basketball program. What I want to see Is how the Wildcats will perform against Coach K's Devils.